Win a brand new BlackBerry Z10! 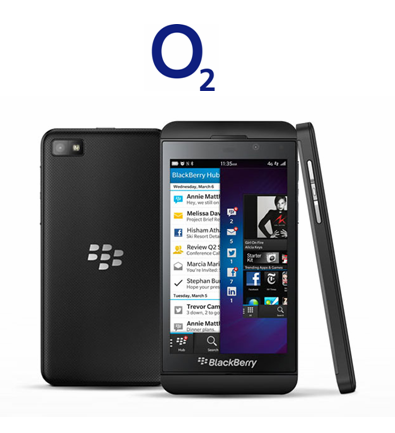 HRS is giving away a brand new Blackberry Z10* courtesy of the very generous O2 Store Manger at the Stratford Centre! It’s free to enter, all you need is a Twitter or Facebook account! For your chance to win, simply keep an eye out for the Blackberry prize draw tweets on @Rickymartin247’s Twitter account which will inlcude instructions on how to enter the competition. To enter, you will need to RT @Rickymartin247’s initial giveaway tweet from 18 February 2014 and either follow @Hyperec_HRS or ‘Like’ our HRS company Facebook page. The competition opens on 18 February 2014 and ends on 2 March 2014, one lucky winner will be selected at random. T’s and C’s apply, click here for more details. While we are on the subject of phones...have you downloaded the HRS Job App? Do you often find yourself searching for a jobs on your phone, then thinking, you'll apply for it when you're sitting at your desktop PC at home? We all know searching for a new job can time consuming process. How many times have you forgotten to apply for a job when you finally sit down in front of your computer? Why not download the FREE HRS Jobs App and make your job search easier? You'll be able to search and apply for jobs whilst you're on the move! The app has been specifically designed to help you identify the current jobs roles in the market place. The vacancy filter feature enables you to search for suitable contract or permanent roles based on your sector, location, skills and salary. In addition, gain access to useful CV tips and advice and find out what to expect at an interview and most importantly, how to prepare for it. So if you're searching for science jobs, or just looking for a recruitment company that can assist you in locating a job in the science industry, then you've come to the right place. We have a wealth of recruitment expertise, particularly in relation to jobs in the science and technology sectors. With a range of positions from the laboratory to the office, from graduate to CEO levels, we can assist in finding the right job for you. We recommend you download your CV on to your smart phone or device to enable you to apply for suitable positions, even quicker! 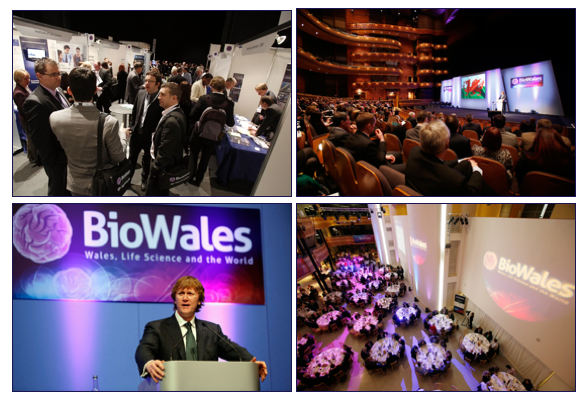 I am pleased to confirm I will be speaking at BioWales 2014 in March. The conference will focus on growth and delivery within the Life Sciences sector and on the opportunities and support available to new investors and established companies in Wales. I graduated as a Biochemist at Cardiff University in 2006, this subsequently fuelled my passion for a career in the Life Science sector. Since then I spent over 7 years working in the recruitment sector on behalf of the science community. I thoroughly enjoyed working in the recruitment industry talking to clients and candidates from the science field suporting science jobs / science careers, so I felt I had the relevant qualifications and experience to set up my own recruitment agency to really help enhance and drive support careers in the science industry. Science is a subject I am very passionate about which I live and breath every day. My ambition is to develop the landscape of science recruitment and make a positive impact to the Science & Life Sciences industries. Hyper Recruitment Solutions remain dedicated and committed to supporting essential scientific research to assist in the improvement and quality of life for all. As a specialist recruitment consultancy, forming valuable relationships with like minded companies and organisations provide HRS with an excellent business network. This enables us to provide science jobs and life science jobs to industry experts who are passionate about working in this field. We support science jobs at all levels and from any discipline. A fantastic line up of speakers will be discussing advances in Regenerative Medicine and Diagnostics which provides so many promising options for the future treatment of some major diseases, such as cancer, nervous system diseases, damaged organs and degenerative diseases. Speaking at the BioWales conference will be a great opportunity for me to celebrate life sciences in the same town I began my career in all those years ago. To be amongst like minded commercially orientated scientific professionals will be a great celebration for life sciences in South Wales. New Year, New Look! Win a personally styled outfit up to the value of £250! To celebrate the New Year, we are giving one lucky winner the chance to win a personally styled outfit for the value of up to £250 courtesy of The Chapar! So, if you fancy some new clothes but don’t like the idea of going shopping yourself, well look no further this is the perfect prize for you! 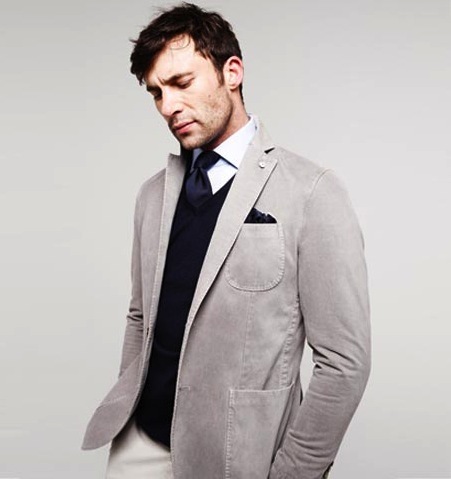 The Chapar offer a broad range of looks and styles from classic to preppy to rakish. So, whether you're into classic brands or modern labels, they will find the style that suits you best. What's more they will deliver straight to your door! The Chapar Man is served by a team of Personal Stylists who learn everything they need to know about their client. Clothes are selected according to an intimate profile and are tailored to suit a particular lifestyle. To enter, you will need to RT one of the giveaway tweets starting with *GIVEAWAY* from @Rickymartin247's Twitter account. These messages will be tweeted over the next week, starting on 4 January 2014. Then, simply follow @Hyperec_HRS on Twitter or ‘Like’ our company Facebook page. Yes, it is that simple! The prize draw opens 4 January 2014 and closes 12 January 2014 one winner will be selected at random. T’s and C’s apply, click here for more details. The winner will be announced Monday 13 January 2014. New year, new look, how about a new job? So what will 2014 bring for you? If you are searching for a position in the scientific sector then look no further, we are here to help! So, whether you’re looking for a permanent, contract or temporary position in the science, technology, engineering or IT sectors, you’ve come to the right place, visit our website and search for the latest jobs! What’s more, here at Hyper Recruitment Solutions(HRS), we go above and beyond simply finding the right job for you. We are happy to offer advice and tips on how to improve your CV, covering letter and application form. In addition, we will prepare you for your interview, give you advice on what to expect, along with sharing information on the history and culture of the organisation. No question is too small and we are more than happy to help so, please speak to one of our friendly consultants to find out how we can help. 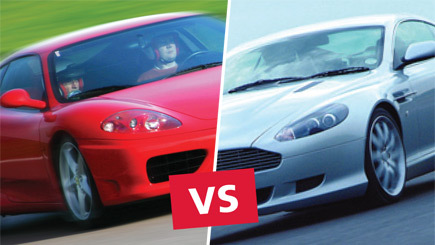 Fancy winning a Ferrari versus Aston Martin Driving experience? Enter the HRS Christmas Prize Draw today! 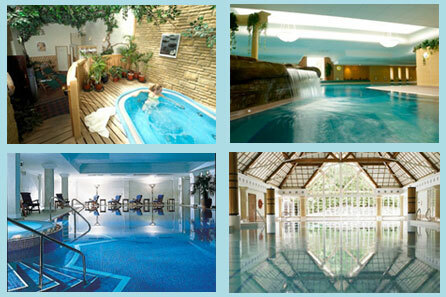 Our biggest prize draw ever, starts 29 November 2013! You probably already know about our weekly giveaways on Twitter…our prizes are usually connected to the wondrous worlds of science and technology (well we try!). To enter, you will need to RT one of the giveaway tweets starting with *GIVEAWAY* from @Rickymartin247's Twitter account. These messages will be tweeted every Friday for the next few weeks, starting on 29 November 2013. Then, simply follow @Hyperec_HRS on Twitter and ‘Like’ our company Facebook page. Yes, it is that simple! The winner will be announced Monday 23 December 2013. Don’t have a Twitter account yet? Don’t panic, you can set one up here it’s easy! New to Facebook? Don't worry, you can set up too, just click here! Meanwhile…are you searching for a new job in the fields of science and technology? Well, you’ve come to the right place! Whether you’re looking for a position in a laboratory, factory or in the office, HRS can assist in finding the right job for you. To make your search easier, don’t forget to download the HRS Jobs App - it's FREE what's more, you can do all this whilst on the move! The app has been specifically designed to help you identify the current jobs in the market place. The vacancy filter feature enables you to search for suitable roles baed on your sector, location, skills and salary. In addition, gain access to useful CV tips and advice and find out what to expect at an interview and most importantly, how to prepare for it.